Raise Sales Dramatically With Eye Catching Professional Looking Ready-To-Use Graphics Using Minisite Templates! Make Products Look Professional With These Brand New Minisite Templates - Now Start Selling Online Right Away Without Hundreds Of Dollars In Your Budget! It only takes a few seconds for site visitors to stay or breakaway leaving site altogether. As an old saying goes, first impressions last longest, which is great in an ideal world. On the Internet it can be dramatically different first impressions may lose visitors, who are potential customers forever. Which is made even harder still by not being able to see site visitors faces and neither do they see yours. For that reason a site holding products or offering services must grab that first impression very favourably. Also must assist in the creation of a view of trust with visitors, which in turn will compel visitor confidence and stimulate the impulse to buy offers or services. While contributing to enhance customers returning again and again so maximising on potential sales and future purchases. There are few better ways than by having a minisite uploaded with some eye catching professional looking graphics in place. If having the time and the talent to create the graphics needed thats great, if not then a graphic designer is the next best thing. The first option is less costly than hiring that designer, though the finish purely depends upon graphical abilities. Not forgetting to mention your own required time which in many cases is often an underestimated but costly consideration. You may have heard the saying online you snooze you loose, well the same could be said when times lost thin skilled the result is the same. What if you dont have the money to cover the cost of expensive graphic designers fees? Are then not able to find the time to do it yourself or have not the required experience. Coupled always with the time factor pressure of getting the product published and in promotion right away? 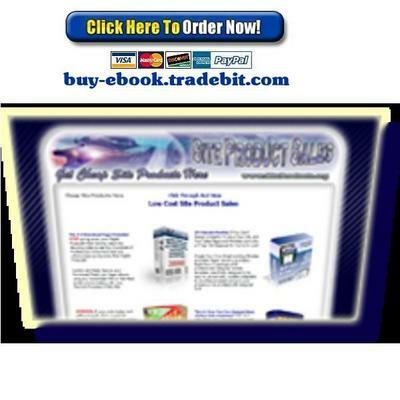 Misty Blue Minisite Templates will help create that professional looking eye catching minisite template in a flash. Fact is, you do not need to have amazing design talents, saving time have the site-up and running right away. All you have to do is some point and click including adding site name that it done in a few minutes! * Article Marketing, Internet Marketing, Copywriting, Joint Venture and Affiliate Marketing just to name a few ideas. * Each template is complete with the following graphics: header, middle and matching footer all 730 pixels (change to suit using .psd header and footer file), plus background image. * All graphics come in editable .psd format with no need to concern about having the same graphics as everyone else! These are brand new templates that are fully customisable. * Edit the layers in Photoshop so you can have your own unique graphics! * Available in blank .jpg for easy editing in your own graphic application. * Index and thank you pages. * CSS document for each template. * No Right Click script in action on each template ( try and right clicking here now). * Reflection script is in action as seen at the bottom of each template page. Which can be utilised for any image placed on all of these template pages. * Mata Tags have been set up on each template page. Just add your sites details by removing the instructions within the quotes of each tag, replacing with relevant information. * Pages will stretch to suit any amount of information placed on them, without affecting the layout what so ever. The content area is already set up with two main columns assisting the reader, just as can be seen on this page. * 15 Minisite Templates that also come with Master Resell Rights, which means that you can get your investment back when you resell this product over and over again! Misty Blue Template Collection Plr!